Founded by George C. Apostle in 1921 and Gregory N. Apostle in 1968, we have been a cornerstone in the community since. Even with more than 100 years of combined experience, we realize that each family has different needs, and our accommodating staff will assist you in creating a meaningful service. We promise to serve your family with dignity, respect, and professionalism. We believe in treating your family like our own to ensure your comfort and ease during this difficult time. Riverdale Funeral Home, Inc. offers a wide range of services to honor your wishes, traditions, and customs. The prices below are based on the General Price List for Riverdale Funeral Home Inc. However, funeral homes sometimes have special pricing packages available, and you should ask if those are available. Please let the funeral director know that you found Riverdale Funeral Home Inc on Parting.com to allow us to continue helping families like yours. The General Price List we have on file for Riverdale Funeral Home Inc has an effective date of Sept. 15, 2015. The prices on our site are for your reference only. We can’t guarantee that the actual prices will be the same as the prices listed on our site. All funeral homes have an effective date on their Price Lists that are subject to change and we recommend that you ask the funeral home for its most recent prices over the phone or for a copy of their General Price List. 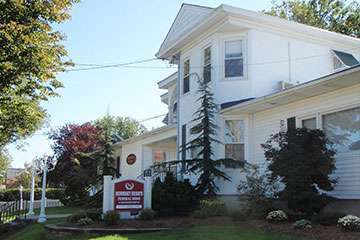 The funeral directors at Riverdale Funeral Home Inc are available to provide you with expert advice.